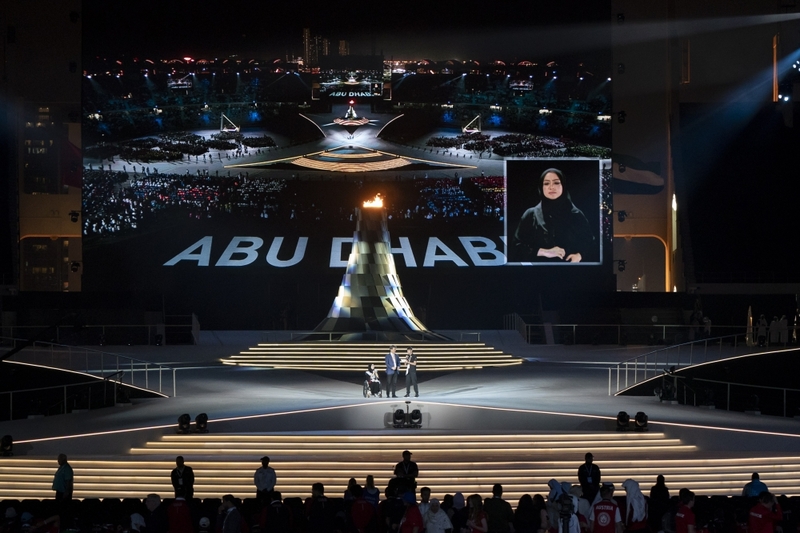 Seven days of sporting achievement, thousands of athletes and volunteers, dozens of events, countless displays of bravery, and millions of smiles marked the conclusion of the Special Olympics World Games Abu Dhabi 2019. As the final curtain fell on Special Olympics World Games Abu Dhabi 2019, the athletes, coaches, families and fans came together to not only celebrate successes on the field of play, but to also look forward to exciting future achievements. H.H. 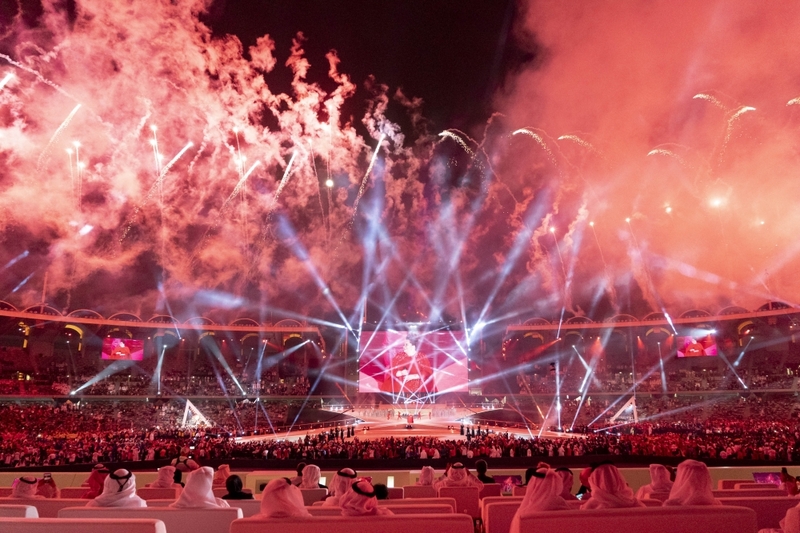 Sheikh Nahyan bin Zayed Al Nahyan Al Nahyan, Chairman of Abu Dhabi Sports Council, Khalfan Mohammad Al Mazrouei, Managing Director of Special Olympics World Games Abu Dhabi 2019 and the President of Liberia, George Weah, led the celebrations. Addressing the event, President Weah thanked the government of the UAE for hosting the Special Olympics World Games in Abu Dhabi 2019 and lauded the Local Organizing Committee for the good organisation of the historic event. Officials and dignitaries from the UAE and Special Olympics, including Dr. Amal Abdullah Al Qubaisi, Speaker of Federal National Council, FNC; H.H. Suroor bin Mohammed Al Nahyan;H.H. Lt. General Sheikh Saif bin Zayed Al Nahyan, Deputy Prime Minister and Minister of the Interior;H.H. Sheikh Hamed bin Zayed Al Nahyan, Chief of the Abu Dhabi Crown Prince's Court, and Sheikh Khalifa bin Tahnoun Al Nahyan, Executive Director of the Martyrs' Families' Affairs Office of the Abu Dhabi Crown Prince's Court. 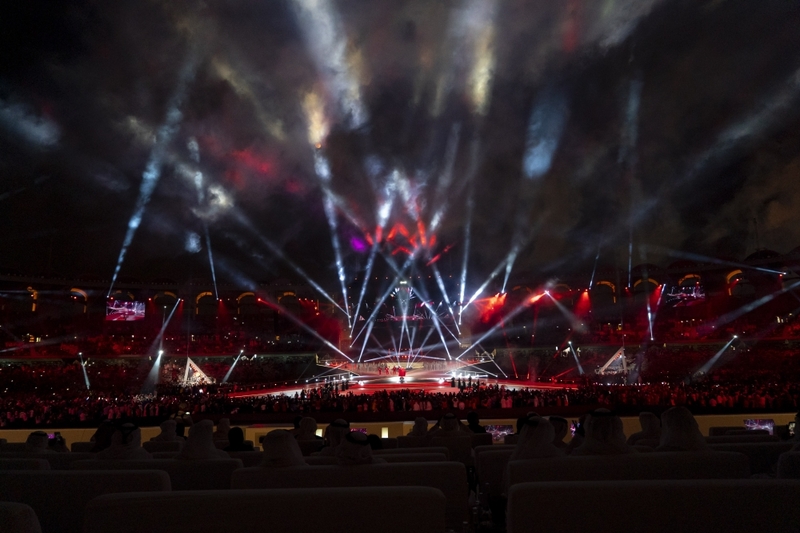 Held at Zayed Sports City, the spectacular closing ceremony featured amazing performances by global superstars Keala Settle and Nicole Scherzinger. Nicole opened the show with her latest song "Victorious" written especially for the Special Olympics World Games. The evening also saw Khaleeji idol Rashed Al Majed, Iraqi star Waleed Al Shami, and Emirati singer Hamad Al Ameri take to the stage to the delight of Arabic music fans. The iconic stadium, which hosted the opening ceremony of the World Games Abu Dhabi just seven days earlier, witnessed athletes, coaches and delegations take part in an inspirational parade around the vast arena as representatives from 200 nations bid a fond farewell to the capital of the UAE. A special place at the heart of the closing ceremony was reserved for the scores of volunteers whose commitment and unwavering dedication ensured the largest sports and humanitarian event of the year ran smoothly each day. All eyes in the stadium turned to the giant screens for the World Games Abu Dhabi Legacy film. Featuring a host of athletes, fans and famous faces, the short film wonderfully summarized the seven days of sporting excellence and celebration of the human spirit by promoting a positive story for the future through unity and inclusion. Athletes from the UAE and Sweden, alongside two Sargent Shriver Global Messengers, conducted the ceremonial handover of the Special Olympics Flag to Sweden who will host the Special Olympics World Winter Games in 2021. 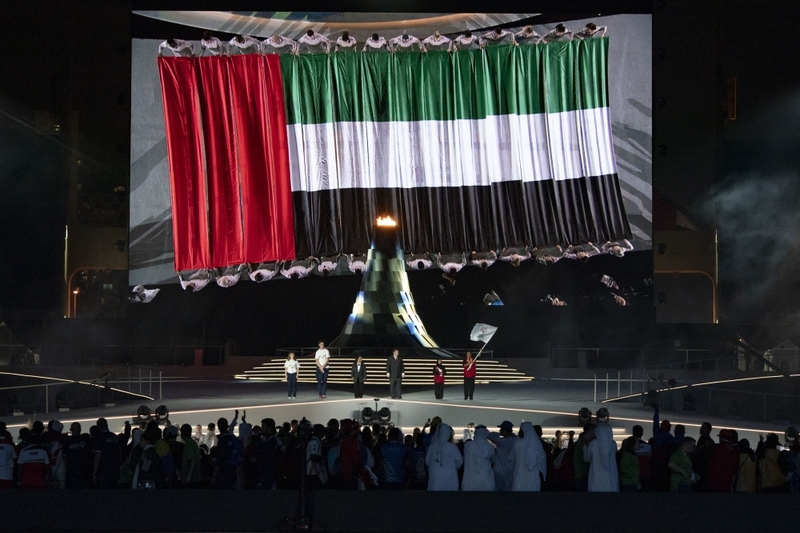 The Declaration of closing saw the Flame of Hope, which had burned brightly in its cauldron at Zayed Sports City since the opening ceremony, officially passed on in a moving ritual. 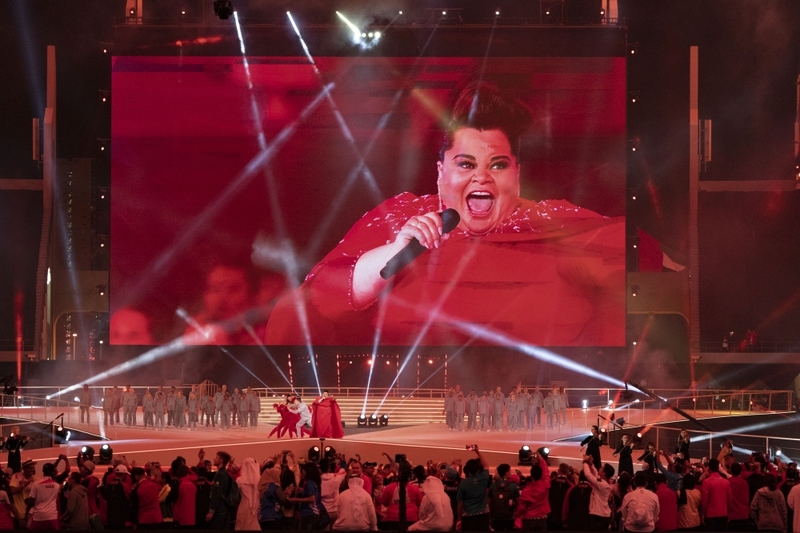 The ceremony also saw the world premiere of the music video for the official song of Special Olympics World Games Abu Dhabi 2019, ‘Right Where I’m Supposed To Be’. The closing ceremony came to an end with a dramatic performance of ‘This is Me’, from ‘The Greatest Showman’ by Keala Settle. Supported by piano, strings and a group of dancers, Keala delivered a phenomenal, poignant, and emotional performance that was a fitting finale to truly amazing and historic World Games in Abu Dhabi as the skies above Zayed Sports City were illuminated in a wonderful display of color and noise as thousands of fireworks shot into the air. 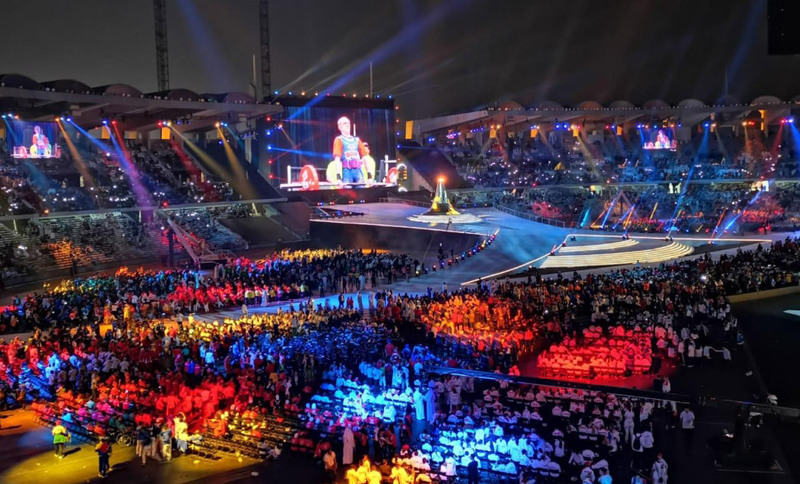 Special Olympics World Games Abu Dhabi 2019 was one of the largest, most inclusive, most unified, most diverse and most successful World Games in the history of Special Olympics. Each of these wonderful achievements and so much more were celebrated in a huge outpouring of happiness from the artists on stage that perfectly echoed thousands of displays of joy and emotion from every athlete, coach and spectator inside the stadium.